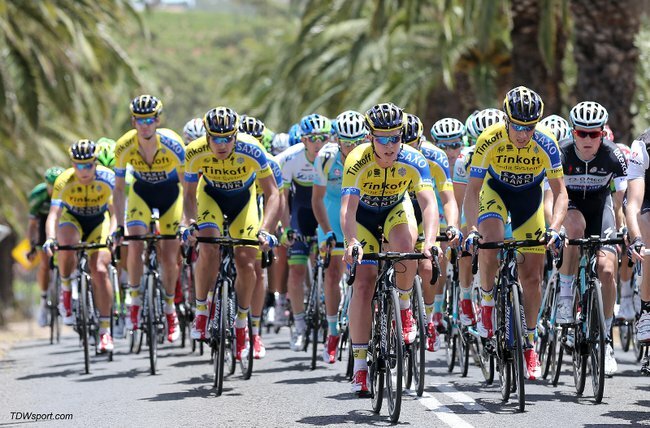 The SRM Training System doesn’t help us turn the pedals, but without a doubt, it makes us faster. To Tinkoff-Saxo, the watt measuring PowerMeter is a necessary tool and we use it in both training and racing. The SRM PowerMeter measures the watts – or power – that a rider puts into the pedals and transmits that data four times per second, thus giving a cyclist real-time feedback on performance. 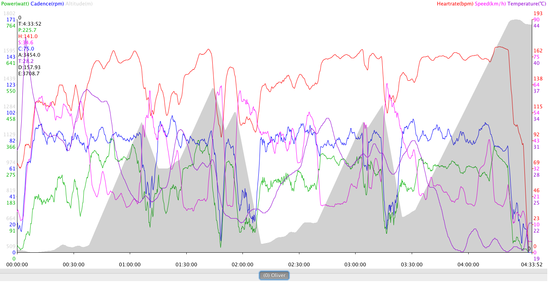 Riders and coaches use this data to program and plan training and to manage energy and effort during the race. 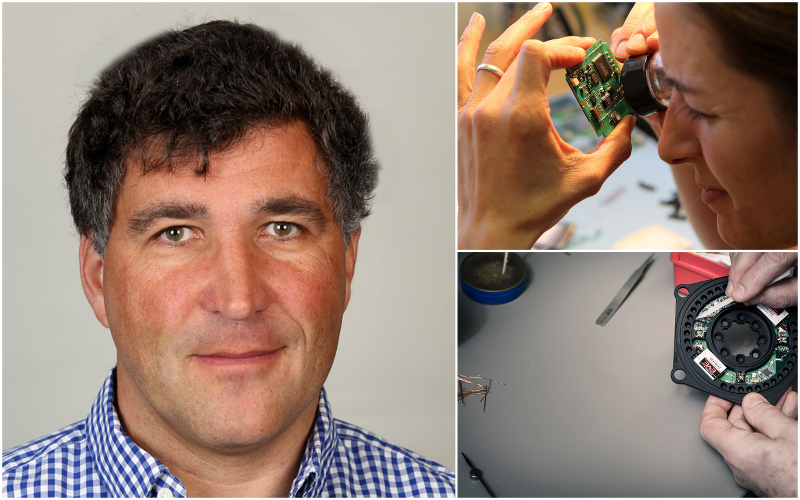 The SRM PowerMeter was invented and first patented in 1988 by Uli Schoberer – a German medical engineer and founder of SRM. Later on, diversions of the technology have been put to use by other manufactures. But still, nothing beats the original, whose accuracy and durability is still without resemblance. SRM’s hand crafted tradition is an important part of our company legacy and is fundamental in SRM quality, durability, and accuracy. Uli values these characteristics above all, and over 25 years later, is still personally involved in production as expert SRM technicians hand build PowerMeters, a process requiring nearly eight days from start to finish. 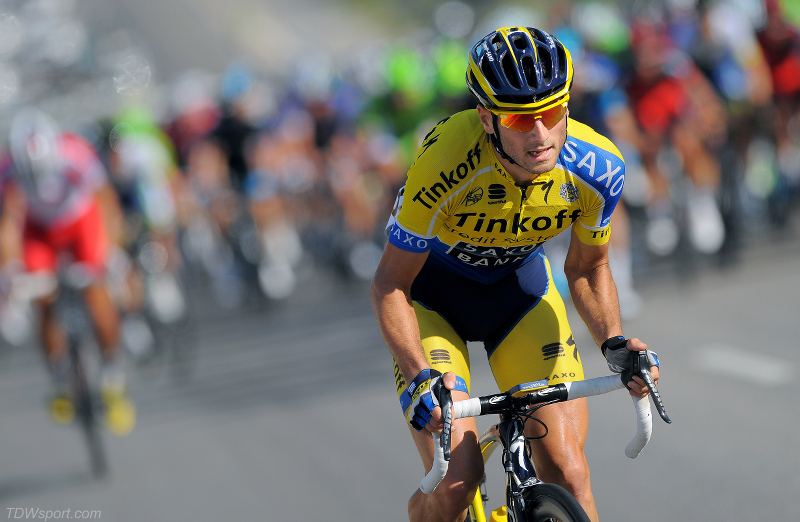 Why ride with the SRM Training System? The SRM PowerMeter functions with a refined, highly scientific design that allows the device to measure the torque that the rider applies to the crank arms multiplied with the speed of each pedal stroke. This gives the rider a real-time impression of the effort-level. But why not just rely on heart rate and perceived exertion? Heart rate for instance is affected by environmental factors such as warm or cold weather, caffeine, sleep-quality, stress-level, hydration and nutrition. Instead data drawn directly from the power of your legs remains constant and gives insight into what kind of power you’re actually able to produce. In real life, on the road and in the heat of the battle this insight allows the rider to perform at his best by defying the need to slow down. 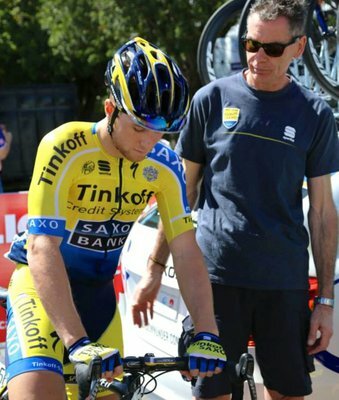 Oliver Zaugg, Tinkoff-Saxo’s light Swiss climber, performed well in the recent Tour de Suisse almost following the race winner on the final climb of the race. 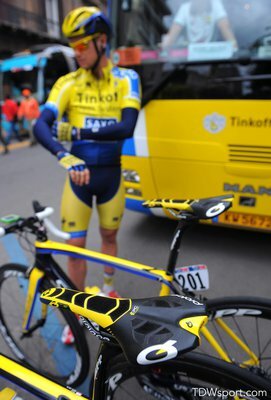 “On the last stage of Tour de Suisse I came in fifth just behind the guys, who finished on the podium. 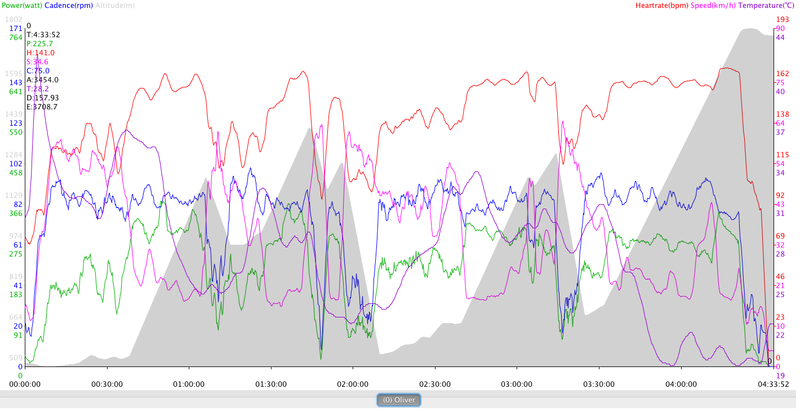 I used the power meter on the hardest sections to reassure myself that I was actually able to maintain the effort. I knew from training that I could maintain and even raise my watts“, says Oliver Zaugg, who had been in the breakaway during the entire stage. The SRM PowerControl8 – the highly anticipated heir to the power throne currently held by the SRM PowerControl7 – will be released during the summer of 2014. 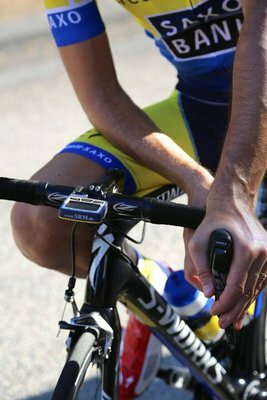 Before the release, select riders on Tinkoff-Saxo will test the new SRM PowerControl8 and provide valuable feedback to SRM engineers. “Having relationships and access to the world’s strongest and most experienced cyclists is crucial to SRM product development and success. We value the opinions, feedback, and data from sponsored athletes and teams and use this information for future product innovation and testing,” explains Rachel Weiss, SRM Sponsorship Manager, and continues.